The most widely watched bond in America is close to a barrier that could cause trouble for the markets. The rate on the 10-Year US Treasury note is this close to topping 3% -- a yield that it hasn't reached in more than four years. It hit 2.9957% Monday morning before pulling back a bit. Auto loans, home mortgages, and other loans are tied to the benchmark 10-year yield. Investors fear that higher interest rates could start to eat into corporate profits and also signal that more inflation is coming. Some worry that the Republican tax cuts for businesses and individuals will cause the economy to grow too fast. "Pouring fiscal stimulus on an economy that's already vibrant could cause the market and economy to overheat," said Dec Mullarkey, managing director of the investment strategy group for Sun Life Investment Management. The Federal Reserve is expected to raise short-term interest rates several more times this year and in 2019, in an effort to tap the economy's brakes a bit. But that will likely lead to even higher rates on longer-term Treasuries. 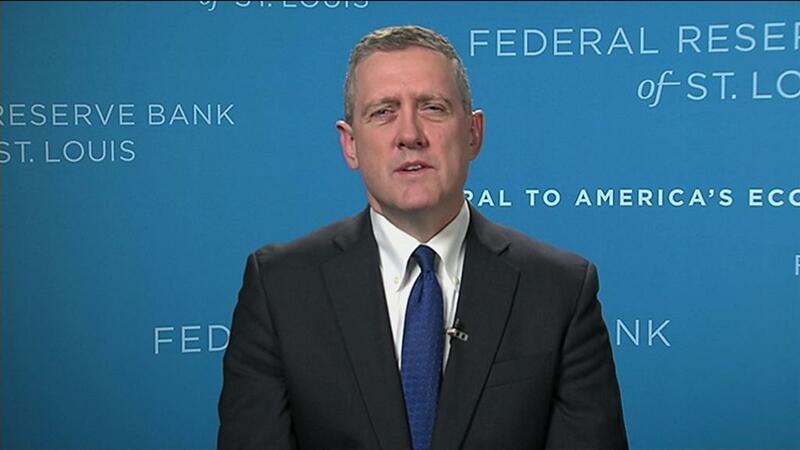 Mullarkey said he thinks the 10-Year yield could climb as high as 3.5% by next year. Still, some argue that yields should rise, because the US economy is in good shape. Bond yields are climbing around the world too as Europe's economy is stabilizing and China and India continue to post strong growth. "Rates are going up in a global fashion," said Larry Hatheway, chief economist and head of investment solutions at GAM Investments. "It's perfectly logical though and the moves are a bit overdue." Hatheway said he's not too concerned about higher bond rates yet because many companies have reported good earnings for the first quarter so far and he expects that trend to continue. That said, Hatheway acknowledged that the last time yields got above 3% in January 2014, market volatility ticked up dramatically -- similar to this year. He called it "painful." So investors should probably be prepared for even more big stock moves if the 10-Year yield does top 3%. Another potential warning sign from the bond market? Short-term rates are going up more rapidly, which is causing the difference between short-term bonds and the 10-Year to narrow -- a phenomenon known as a flattening yield curve. Why is this a problem? If short-term rates actually move higher than long-term rates, that creates something known as an inverted yield curve ... and that often has happened just ahead of recessions. The last recession was the Great Recession of 2008 -- and some economists think America is due for another downturn within the next few years, perhaps as soon as 2019 or 2020. Fortunately, few are predicting anything as terrible as 2008. But Lee Ferridge, head of multi-asset strategy for North America at State Street Global Markets, is getting more nervous about what might happen to investors. Ferridge notes that in addition to the Fed hiking rates, the European Central Bank is finally ending its own crisis-era stimulus programs. That could push global rates even higher. "There may be a lull period in the market at the moment but it's far too early to sound the all clear," Ferridge said. "We need to wait to see how this shakes out. I'm still wary."